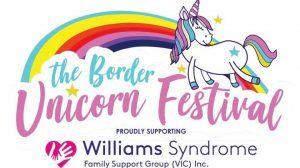 We aim to provide help and support for families with a child or adult with Williams Syndrome and empower those with Williams Syndrome to reach their full potential. We invite new families, supportive community members, sponsors and relevant health professionals to participate in the life of our group and apply for membership. Every family who learns of a Williams Syndrome diagnosis has many questions. It is natural to experience a variety of emotions and not know who to turn to. Google is often a first point of reference which can be helpful, but can also be unhelpful. This video shares some first-hand experiences of families in our group.